We've all heard how good meditation is for your mental and physical health. If you're curious about meditation but not sure where to start, we'll teach you how to meditate. Until recently, meditation was associated mostly with new-age gurus and a monkish existence. But this 2,500-year-old practice has been springing up in some decidedly modern locales: Posh resorts and prestigious medical centers alike -- Memorial Sloan Kettering Cancer Center in New York City, University of Massachusetts Medical Center in Worcester, and University of Wisconsin Hospital and Clinics in Madison -- have classes devoted to the practice. "Research is showing that daily meditation over the course of several months can lower blood pressure and the stress hormone cortisol," says Richard Davidson, PhD, research professor of psychology and psychiatry at University of Wisconsin, Madison. Meditation is the act of focusing your attention on one thing -- your breath or a mental image or phrase -- and being completely anchored in the moment. It brings a sense of calm by keeping the mind from ruminating on the past (i.e., the stressful morning you had) or worrying about the future (i.e., "How will I ever complete that project on time?"). The practice arose out of the teachings of Eastern religions such as Buddhism and Hinduism, but you can easily adapt meditation to fit your own beliefs. "You can meditate on a certain Bible passage, for example," says Christina Drozda, an inspirational therapist who teaches meditation at The Centre for Well-Being at the Phoenician in Scottsdale, Arizona. On a psychological level, meditation can help you become aware of your thought patterns -- the unconscious, automatic ones which can result in negative and judgmental thinking. And at the very least, regular meditation can be your best ally against stress. 1. 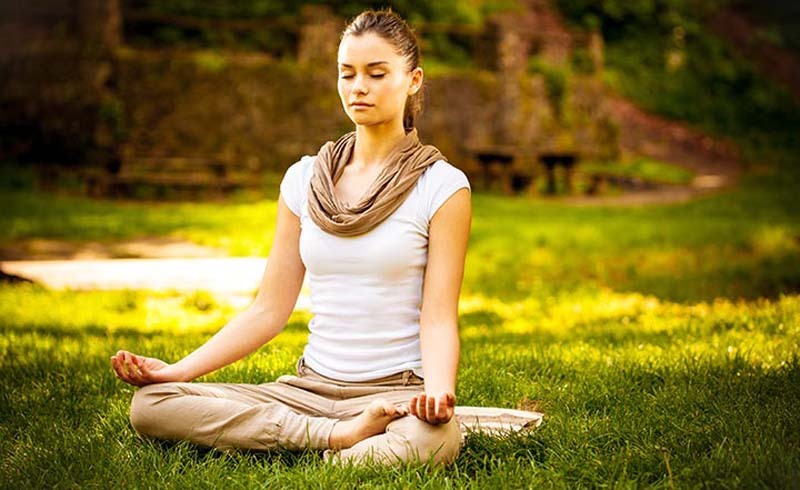 Transcendental Meditation (TM): TM requires the use of the mantra (a repeated word or phrase) to focus the mind and achieve a deep state of relaxation. Thoughts that arise during TM are disregarded and the attention is brought back to the mantra. 2. Mindfulness Meditation (also called Insight Meditation or Vipassana): This type of meditation involves nonjudgmental observation of thoughts as you focus on your breath, or an object or image (seen or visualized). Mindfulness meditation has an element of inquiry -- you investigate and compassionately "witness" whatever comes up. 3. Visualization Meditation: This technique is often used to relieve pain by visualizing a part of the body being healed through imagery and breath work. 1. Find a quiet spot that's free from distractions. Sit on a cushion or a chair, or lie down if sitting for that length of time is uncomfortable. Just be sure to maintain a straight spine. 2. Choose a focal point. An object to gaze softly upon (a picture of a loved one, an icon, a flower), your breath, a soothing mental image such as a waterfall, or a mantra -- a repeated phrase like "love" or "om." If you are not gazing at something, close your eyes. 3. Gently allow yourself to bring your full attention to your focal point. Your mind will naturally drift, thinking about what you must accomplish that day, a dream you had the night before, and so on. Don't be upset with yourself when you become distracted. Simply acknowledge the thought without judgment and try to return to your focal point. This process is deceptively simple. It may feel uncomfortable and pointless at first. The mind is so conditioned to jump from thought to thought that training it to deliberately rest upon one image is a tall order. But the results can be huge: Regular meditation has proven psychological and physical benefits. And the more you engage in a formal practice, the more benefits you'll reap when you're off the meditation cushion. "Meditation centers you, and the more time you spend in meditation, the more balanced you'll feel when you're not meditating," says Drozda.